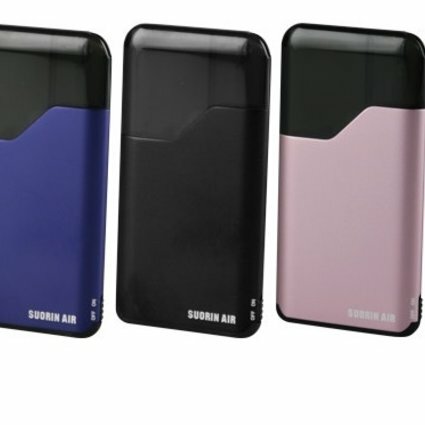 The Suorin Air is a compact all-in-one, card style vape kit, with a 2ml refillable e-liquid cartridge and 400mAh battery. Less than a centimeter thick and smaller than a credit card, the Suorin Air is the ultimate pocket friendly mouth to lung vaping device. Sleek, covert, and simple to use. The magnetic pod system houses a built in 1.2ohm coil, and a silicone cap blocks the fill hole on the bottom. Want to quickly change flavors? Just swap out the pod! The Suorin Air is inhale activated with an on/off switch and indicator light at the base. The battery can fully charge in approximately 30 minutes via micro USB. Best used with a 70/30 blend of e-juice.